Microwave: Heat, covered in microwavable bowl on high 3 to 3-1/2 minutes. Careful, leave in microwave 1 minute, then stir. 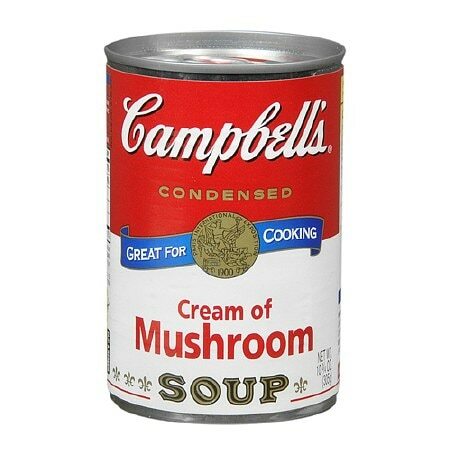 Richer soup: Use 1 can milk or 1/2 milk and 1/2 water. Caution: Metal edges are sharp. Promptly refrigerate unused soup in separate container.